Cathay Pacific offers one of the best first- and business-class products in Asia, with non-stop service to eight North American gateways: Vancouver, San Francisco, Los Angeles, Chicago, Toronto, Boston, and New York (JFK and EWR). The carrier no longer operates the Boeing 747 to the United States or Canada, so all of these routes are instead served with the Boeing 777-300ER. Most of Cathay’s Boeing 777 aircraft feature six first-class suites with a separate ottoman if you wish to dine with a companion. However, there is no privacy door as there is on some other Asian and Middle Eastern carriers. 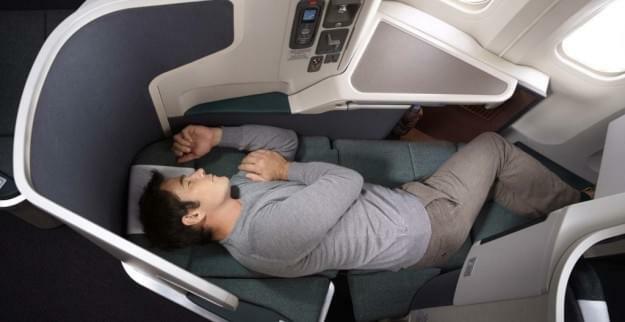 In business class, 53 lie-flat seats in a reverse herringbone configuration offer some of the best opportunities to sleep over the Pacific Ocean. Keep in mind that a few dates and times feature a different aircraft configuration that omits first class. The same business-class experience is available on these flights, but the cabin is reduced to fit just 40 lie-flat seats. How Many First and Business Class Seats Are Available from Each City? Because schedules vary, we’ve listed all the routes operated by Cathay Pacific from Hong Kong to nine airports in North America, including which dates and times offer a first-class cabin. (Schedules are subject to change.) We then calculated the average number of first- and business-class seats available each day. It might be more difficult to book an award in cities with a small presence, but this also could reflect low demand for travel to Hong Kong in general; there might be more award seats left over. More information on connecting flights is available in the next section. Vancouver offers two daily flights, with a first class-cabin on one but not the other. This results in an average of six first-class seats and 82 business-class seats each day. San Francisco offers two daily flights and a third flight with service on Sunday, Wednesday, and Friday. Only one flight offers a reliable first-class cabin. This results in an average of six first-class seats and 110 business-class seats each day. Los Angeles offers three daily flights and a fourth flight with service four days a week. All of these have a first-class cabin. This results in an average of 21 first-class seats and 189 business-class seats each day. Boston offers no daily flights. Instead, one flight operates just four days a week, and fortunately, it has a first-class cabin every day. This results in six first-class seats and 53 business-class seats on the days that Cathay Pacific does offer service. Toronto offers one daily flight and another that operates three days a week. None of these provide a first-class cabin, so you might prefer to connect in Chicago, Boston, or New York instead. 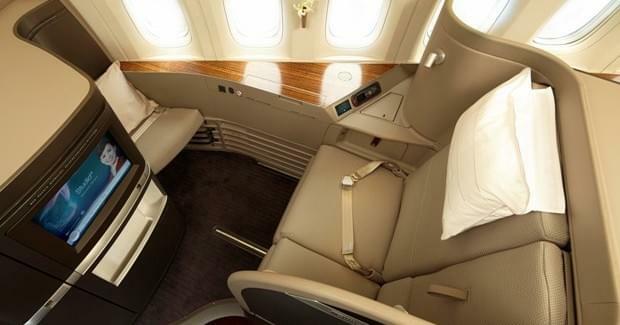 There are an average of 57 business-class seats each day. New York offers five daily flights: four from JFK and a fifth from Newark. Fortunately the schedule is easier to predict as all of the JFK flights provide a first-class cabin while the Newark flight never does. This results in 24 first-class seats and 252 business-class seats each day. Note that flights CX889 and CX 888 stop in Vancouver. American Airlines (AAdvantage) and Alaska Airlines (Mileage Plan) are the only two U.S. airlines that partner with Cathay Pacific. If you don’t live in city that Cathay Pacific serves directly — or if you find award space in a different city — then connecting flights will be required. Los Angeles and New York (JFK and EWR) have the most daily flights to Hong Kong. Fortunately, these cities are also hubs for American Airlines and will make a connection easier to find. Chicago is another American hub, but Cathay Pacific operates only one daily flight to this city. The AAdvantage loyalty program will allow you to book connecting flights on American or Alaska Airlines for no additional charge. Booking travel with Mileage Plan is more complicated because it requires that you fly with Alaska Airlines on all connecting flights. This means you will not be able to rely on the more frequent service offered by American Airlines to some cities. However, Alaska Airlines includes connections on travel from Hawaii, Alaska and Canada at the same price; American raises the price if you don’t live in the contiguous 48 states. The following cities offer non-stop service with Alaska Airlines or American Airlines.